CHANGSHA, China, May 29, 2018 /PRNewswire/ — SANY International, a subsidiary company of SANY Group recently released an unaudited financial report saying that the company’s comprehensive revenue reached 997 million yuan in the first quarter, a year-on-year growth of 96.5 percent; the shareholders’ net profit was 172 million yuan, an increase of 139.9 percent over the same period of last year, accounting for 75 percent of the whole year 2017’s level. The net profit rate raised 3.12 percentage points to 17.25 percent, which shows that SANY International gets rapid development. This is the first time that SANY International releases its quarterly results, which is believed by the insiders that the company is confident about its future development. Influenced by the national policies over the past years, mining industry has gotten vigorous recovery, generating a large quantity of market demands. 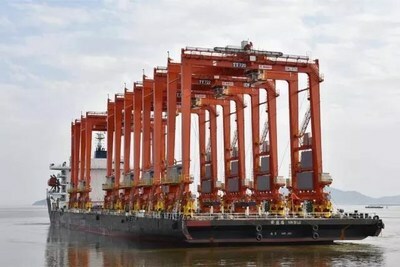 Additionally, driven by the recovery of global shipping business and the “Belt and Road Initiative”, the company is actively expanding the international market of port machinery. In the first quarter, the sales amount of its mining machinery products and port machinery products gained a great growth. From January to March, the SANY’s sales revenue of coal machines increased by more than 100 percent over the same period last year; the shipment quantity got a more-than-50 percent growth. “Fueled by the industry recovery and equipment renewal, energy equipment and port machinery will maintain strong growth momentum. 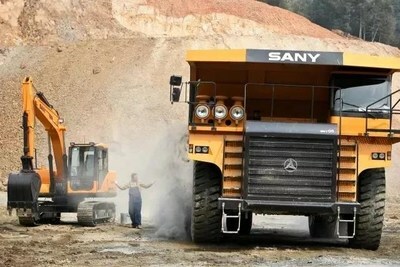 SANY International as a leading enterprise in mining machinery and port machinery industries, its performance is worth our expectation,” an industry insider said.